I have been practicing massage therapy since 2005. I graduated from the National Massage Therapy Institute in Delaware and became Nationally Certified shortly afterward. I am currently licensed in massage therapy in the Commonwealth of Pennsylvania. 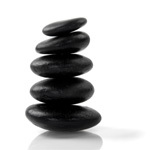 I have practiced massage for several chiropractors in the area and has learned much from their expertise. I also worked in a salon and learned pampering modalities such as seaweed and clay wraps as well as salt and sugar scrubs. I have always been interested in the healing arts and often studies new modalities and attends several workshops each year. Some of the massage modalities that I have studied and incorporate into each massage according to the client’s needs are orthopedic massage, sports massage, deep tissue massage hot stone and Thai Yoga massage. These are just to name a few. I also study posture and gait issues of my clients. My main interest in massage is to create a team effort between client and therapist to promote the desired healing outcome. I also offer a follow up session for those who want to take part in their health and pain management which includes simple exercises and stretching and inexpensive equipment they can use to manage pain. (see services page for more details). Massage therapy seemed to be a natural choice because I have had many healing challenges of my own which makes me empathetic to the healing needs of others. I often find ways to heal myself or find a quick fix to an acute onset of pain and I am always willing to pass this valuable information on to others. My modality of massage would be considered more of a deep tissue massage, but I am able to adjust the massage according to each client’s level of toleration and need. My massage studio is well equipped with health enhancing equipment to help further the benefits of the massage and assist with the healing process. I have had personal experience with all of the equipment and can explain the benefits of them. Among some of the most popular are the Migun massage bed, the Relax Sauna for both sitting and lying down and a far infrared Biomat. For further information, please check the services offered page as well as the facebook page.